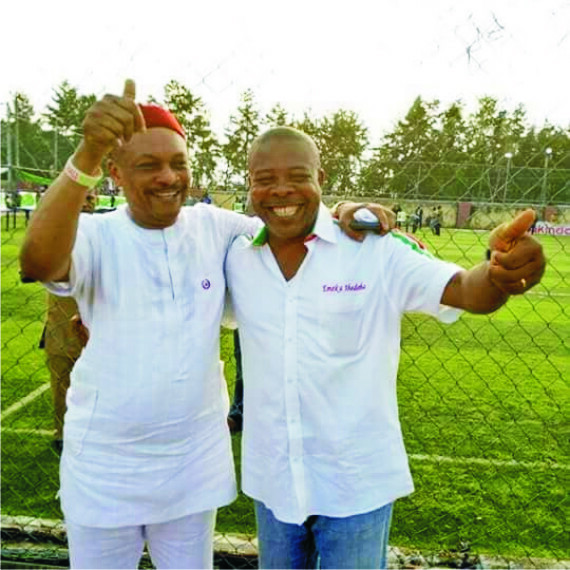 A Federal High Court in Owerri, today struck out the primary suit filed by Senator Samuel Anyanwu, first runner up at the recently conducted PDP governorship primaries. While N100, 000 out of the sum will be paid to the 1st Respondent, PDP, the sum of N200, 000 will be paid to the winner of the Imo PDP governorship primaries, Rt. Hon. Emeka Ihedioha CON, 2nd Respondent. He said, “Everyday attempts are being made to induce the agents of the other governorship aspirants who have congratulated Rt. Hon. Ihedioha on his transparent victory at the primaries with huge monetary offers to withdraw their signatures from the result sheet. Also speaking, the PDP Coordinating PDP Chairman of Chairmen in the higher institutions in Owerri, Comrade Uka Ori, said, the goodnews is that the PDP in the State is very focused. The primaries of the party have been concluded, with candidates emerged. The party is poised to winning the elections in collaboration with the electorate. Politicians must learn to bear the pain of defeat. It can happen to anybody. If you are into politics only to win, then when you lose you become a bad looser. We must learn not to be bad losers. Anybody distracting the PDP at this God’s given time is truly an enemy of the party.